Data Dollars are not a monthly subscription. You buy data dollars in increments of $20 and you can use them over 12 months. 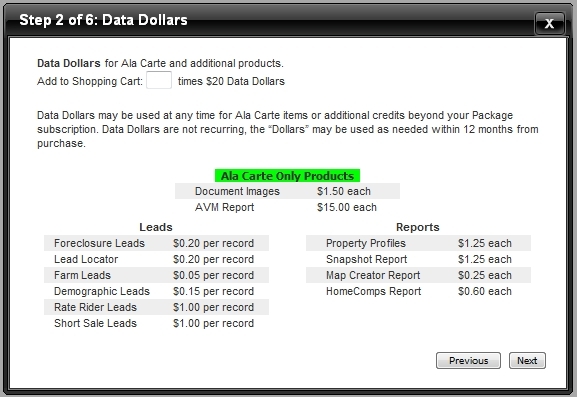 They are useful for buying Document Images, AVM Reports, and other reports on an Ala Carte basis.